The music for Rock Of Ages is available below. 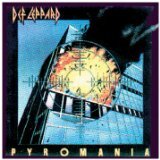 Rock Of Ages was penned by Def Leppard. We would love to hear your feedback on our arrangements. Simply log into your account, choose the song you'd like to leave some feedback on, then navigate to "Comments" and, after choosing a user name, you are ready to go. If you are on Twitter or Facebook, and you would like to tell your friends about this piece of music, then please navigate to the share icon where you can choose from a variety of social media platforms to share this song. We currently offer 9 arrangements of Rock Of Ages for 7 instruments.